Just when you thought we had a great chance to beat Virginia. It was set up so perfectly. 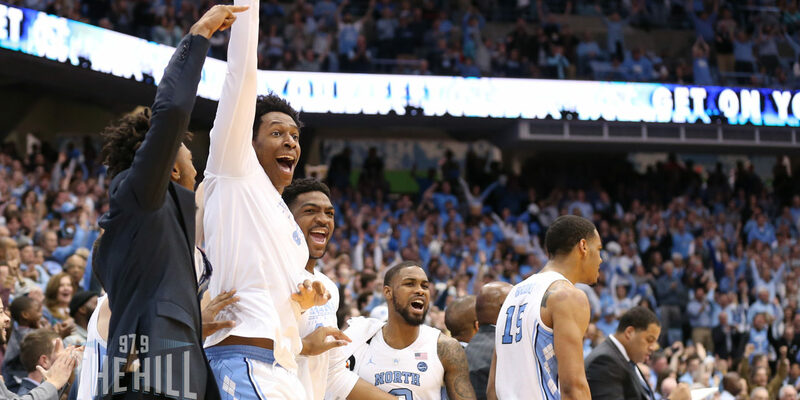 The Tar Heels played a lousy first half, were behind by seven late to Miami at home and then made a stirring comeback to win on Coby’s 33 and Luke’s 3 to tie the game and Kenny’s 3 to win it in overtime. Bad performance that required the university painter to be back in the locker room Sunday to patch up that part of the wall Roy Williams tore off with his tirade; then the Heels pull out a game they probably shouldn’t have won, perhaps peeking ahead to Virginia tonight at 7. And of course, UVA coming in so happy after evening the score against Duke at home. Perfect, the Cavaliers high as a kite and then having to travel down here for game they KNEW they could win after beating the Blue Devils at the JPJ. Ideal ambush atmosphere for Carolina. But not so fast as the old expressions goes. Now, Virginia does look beatable after giving up 80 points for the first time in Tony Bennett’s tenure in Hookville. And letting Duke, the worst 3-point shooting team in the ACC, look like the Warriors of Curry and Klay. That’s the perfect scenario for the ‘Hoos arriving ready for a back-alley fight. The Heels will have to truly prove that manhood that Ol’ Roy challenged at halftime Saturday. And that ball control, pick-and-roll, slip-screen offense that Virginia runs will be on point and take at least 20 seconds to guard on each possession. And its pack line defense that let the Blue Devils score at will make it tougher than ever for UNC’s long bombers to get good looks, given our inside game compared to Zion and company. This will be more than a man’s game. It will be an old-school backyard brawl like Terry Holland’s and Dean Smith’s teams used to play as if their coaches didn’t like each other, which they didn’t. Ol’ Roy and Young Tony, as Williams calls him, are very fond and respectful of one another, but both know what’s at stake. For Carolina, it’s to tie Duke for first place in the ACC before going to Durham on February 20th. And for Virginia, it’s to stay in the race with some tough games still ahead. As an old coaching buddy of mine used to say: both teams had better tie their jockstraps on real tight.